Attorney General Jeff Sessions listens during a House Judiciary Committee hearing on Capitol Hill, Tuesday, Nov. 14, 2017 in Washington. Attorney General Jeff Sessions has ordered a review of how well the national gun background check system is working, a response to the deadly shooting in Sutherland Springs, Texas, NBC News reported. 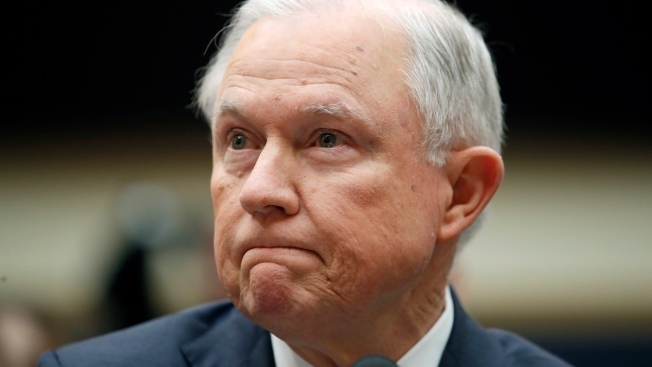 Sessions said the National Instant Criminal Background Check System, better known as NICS, "is only as reliable and robust as the information that federal, state, local, and tribal government entities make available to it." The Defense Department is conducting a review of its own practices after the Air Force discovered that it did not report the court-martial conviction of Devin Kelley, the church gunman. That failure allowed Kelley to buy the rifle he used in the Texas shooting.